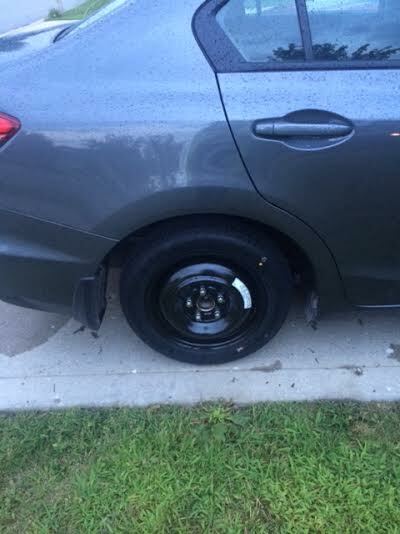 Last week, I had the ever-so-joyous pleasure of a flat tire. Who doesn’t LOVE that? I was driving with my son, Matt, when it happened. While I am grateful it happened in a place when we were not in danger, I actually learned – or maybe was reminded of – something during the experience. Matt will be 13 next month. Like most boys his age, he is never far from his gadgets – particularly his phone or iPad. So, as he was riding in the car that afternoon, Matt had his phone in hand, playing a game. When the notification appeared that the tire pressure was low, I pulled over to investigate. By the time I got back in the car, Matt was already on his phone, looking up the online user manual so he could understand the car’s messaging system and look for online tutorials on what we should do next. I, being in the “pushing 40” crowd, probably would have just grabbed the owner’s manual from the glove compartment. Whippersnapper. This left me in awe. Not the “my kid is a genius” kind of awe (well, maybe a little), but in a way that got me thinking about learning instincts across generations. Matt is a “digital native.” I am not. Where my instinct told me to look for a static book, Matt knew to go to the internet to find current information. 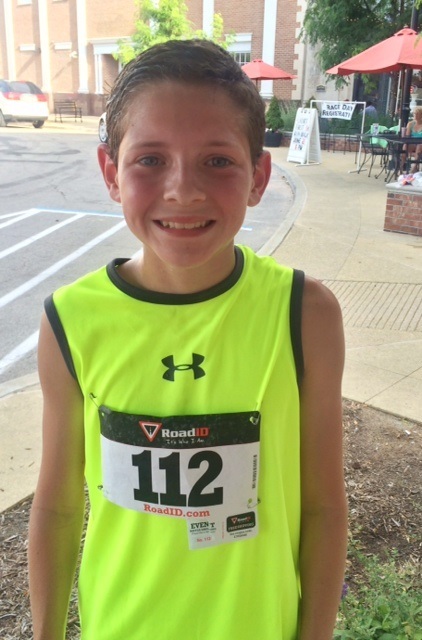 His homework is the same way – while he sits in his comfy bedroom using a search engine to do research for an assignment or project, I sat in an uncomfortable Naugahyde chair at my local library branch, scouring a likely-outdated set of World Book encyclopedias. 1. Leverage “just in time” learning. Just like Matt instinctively sought out online resources and tutorials to learn what to do about our flat tire, it’s important that you provide the right learning solution for the right learners at the right time. Don’t skimp on the needs analysis to determine the most appropriate learning solution for every situation. Whether you use social collaboration tools like Yammer or Chatter, create blogs or wikis, host internal Twitter chats or use a blended learning approach, do what you can to connect learners to others. Make the social nature of learning come alive in your organization, and be mindful with how to intuitively connect learners with tools and each other. Mobile learning, video-based learning and games are all wonderful methods for engaging learners, but it is important to be mindful of how you utilize them. Be careful not to consider designing a learning game because it would be “fun,” but rather the act of simulating a task or reenacting a scenario that mimics an on-the-job environment. Likewise, the idea of using mobile or video-based methods simply for the sake of incorporating them into your learning program would miss the mark. Embrace technology; recognize its merit, and implement learning solutions accordingly. Your turn: How do you create a learning environment that engages learners of all levels in your organization? Please share your thoughts and tips in the comments! Got some old school folks in your network who could use a reminder about engaging young learners? Be kind and share this post! Check out phase(two)learning on Twitter or Facebook for updates, resources and other great info! Nice Michelle. Thanks for the simple reminder on several planes… Not only is this a reminder to remember our audiences and tap into what they are tapping into in powerful mobile learning ways, but it is also a reminder of how we learn through reflection on life experiences, and transfer of learning through the power of story and applying our observations into different contexts, a tool we can also utilize in our trainings in powerful ways…which you just did. Thanks! Great story. Even though I’m of an even older generation and am wondering why (never mind how) the car would have a messaging system for a flat tire, I am digitally savvy enough to have found the answer in short order (“the most useless warning light there is”, according to this blog: http://jalopnik.com/5973322/why-the-tire-pressure-light-is-the-most-useless-warning-light). To answer your question, I would add one item: make the learning relevant and useful. So many of our learning interventions take place in the rarified environment of a training center, when the actual learning, through application, takes place on the work floor. Following a 70-20-10 methodology helps to bridge this gap. By the way, my Google search result for the warning light delivered another gem: “A light telling me that one of my tires is low without telling me which one is as useful as a light telling me I’ve left a window wide open.” Yep: if it ain’t useful, it ain’t relevant. Hi Leo – thanks for sharing! You’re absolutely right – ensuring usefulness and relevance is so important. 70-20-10 is a terrific model for linking learners to practical, on-the-job experiences and – as you say – “bridge the gap”. I follow this methodology at the day job and in my consulting practice – in my experience, I’ve found that many learning professionals are really good at the “10” – the big challenge seems to be making the “70” and “20” come alive in an organization! Great illustration, by the way! Loved this article. I have been asking my kids to Google things for a couple of years now and it’s great to get quick, efficient and cost effective answers to all kinds of questions. I recently saved over $200.00 simply by viewing a yotube video on how to change a cabin filter in my car. The more we can incorporate this type of “Just in Time” approach to problem solving and development, the more engaged our workforce will be. They’ll actually look forward to learning if we tap the right technology and delivery methods to effectively inform and develop our employees. Hi Sam, glad you liked this post! Very cool that you saved $200 through self-learning! I agree – making learning easy and accessible is such an important key to having engaged employees. And the thing is, it’s no longer a “nice to have”….we *must* have these tools readily available to our people! Thanks for sharing!